I never really gave up on getting back on the water. I have plotted and planned, wished and dreamed, fixed and schemed for many years. Last Saturday, I found a boat that matched almost all my criteria. 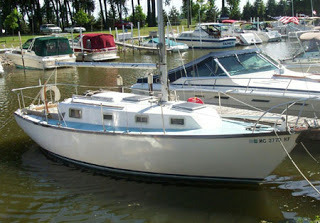 "In A Mist" a Cape Dory 28 is on the hard in Bay City, MI. I had four boats on a string and was wondering how close I actually was to leaving. That friday afternoon before, my fate was sealed. In the on going crap at my current job, my last hope was a new boss. When he gave me a review, taking wholesale from corporate management, I decided I was done. So Monday, I resigned my job of 9 years as of April 1, 2007. Yeah, I know that's a Sunday, but it was close enough I couldn't resist. Of course, March 30 is my last day. 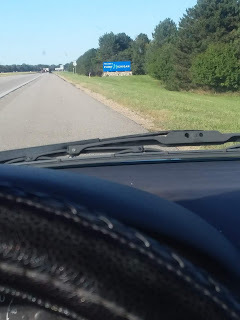 Later Monday afternoon, the seller took my offer and I knew I was Bay City bound. The boat needs some paint and some cleaning. I will update the systems as needed. Depending on what kind of work I find when I get there, I will be headed south by late summer or fall. Otherwise, I will winter over in Bay City and leave the following summer. I've got some work to do to get my sea legs back. I can't wait.